Manufacturer of a wide range of products which include foc ac drives, hybrid servo drives and svc micro drives. 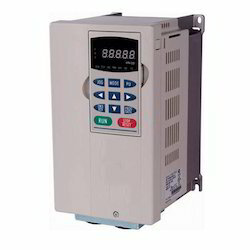 We are regarded to be one of the most professional name occupied in offering of FOC AC Drives. 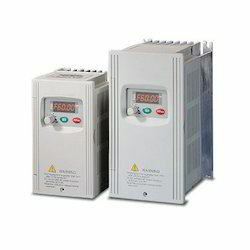 We offer FOC AC Drives that are used to control speed and position. FOC stands for Field Oriented Control which finds its application in various industries. It can carry a heavy load and provide accurate output. Our range is reckoned for its easy installations and smooth operations that enhance the performance of this range. Our clients can get these drives from us at industry leading prices. Our organization holds expertise in offering superior grade Hybrid Servo Drives to our precious customers. Our range of Hybrid Servo Drives is widely demanded by the clients for its extensive hydraulic properties. Along with, it has an ideal control over the motor, drive and hydraulic unit. 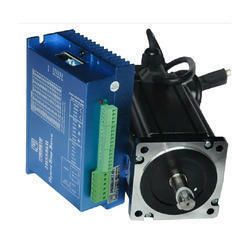 A product we offer is applicable for asynchronous servo motors and synchronous servo motors. This range is available in different specifications and sizes that can be availed from the market at reasonable prices. Banking on the collective capabilities of our well qualified team of employees and infrastructure facilities, we are able to offer an outstanding range of SVC Micro Drives. Our product range is easy to operate, easy to install and provide smooth operations and noiseless performance. Our offered range of drives is manufactured by a team of our adept professionals utilizing quality approved components and advanced technology. These drives are suitable for various industrial applications and are well known for their accurate and quick results.